Takhyil is a term from Arabic poetics denoting the evocation of images. It has a broad spectrum of connotations throughout classical philosophical poetics and rhetoric, and it is closely linked to the Greek concept of phantasia. 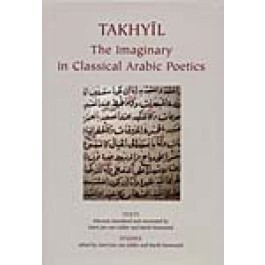 This volume is comprised of annotated translations of key texts on this topic from major philosophers and literary theoreticians, including Alfarabi (al-Farabi), Avicenna (Ibn Sina), Averroes (Ibn Rushd), and 'Abd al-Qahir al-Jurjani. In her preface, the classicist Anne Sheppard relates takhyil to Greek poetics, and in his introduction, Wolfhart Heinrichs traces the development of the term in the Arabic tradition. The second part of the book contains eight studies on takhyil and various aspects of image-evocation and how it relates to musical theory, literary criticism and rhetoric. The opening essay is by Katrin Kohl, a specialist in European poetics, who places takhyil in the wider context of poetic universals. "The volume succeeds in broadening our knowledge of Arabic poetry by providing the reader with an overview of studies on the imaginary in classical Arabic criticism and by offering fascinating contributions from outside the fields of Oriental Studies."